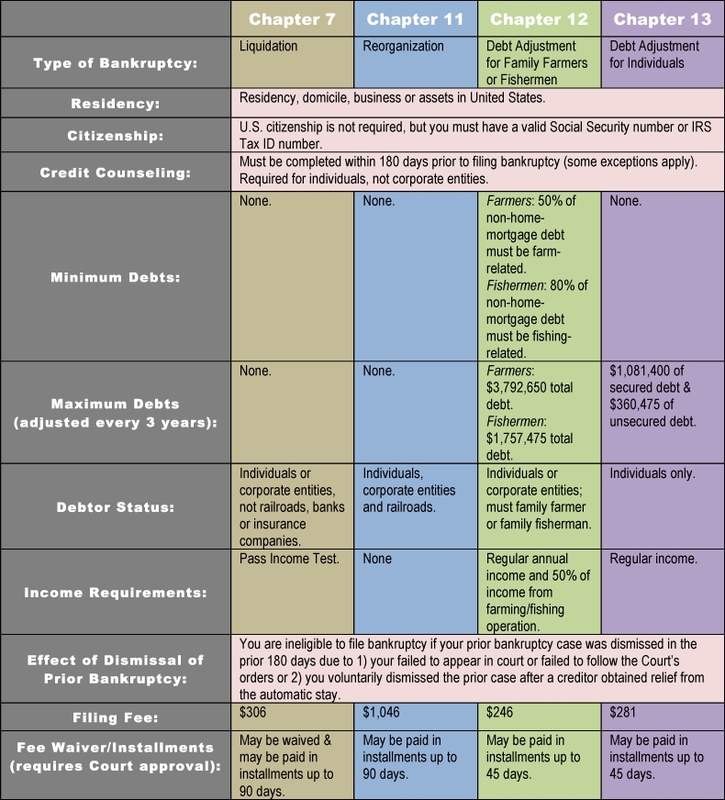 A brief Twitter exchange prompted me to brush up on my farm bankruptcy basics. As is now too often the case, what I thought I knew was shaky, and what I didn't know/remember considerable. First, I hazily remember farmers getting their own special category of bankruptcy during the depths of the '80s. 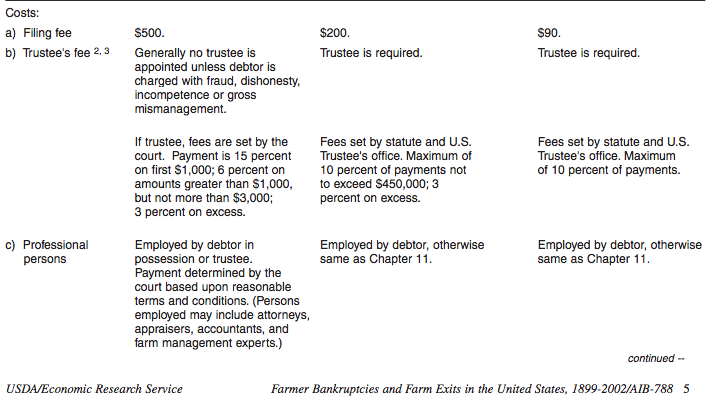 The other thing that I noticed is creditors don't get to approve Ch 12 plans - only the trustee (court appointed). This prevents battles between creditors forcing dissolution. This whole discussion began when lawyers pressed the Chair of the Senate Judicial Committee. I'm not sure if Grassley is hearing increased rumors of rising numbers of farmers seeking debt relief, but this move is rooted in a familiar pattern: farmer wealth is not like other wealth. This makes no sense economically or financially, but it sure resonates with farmer feeling of exceptionalism. It is the same bias that generates disturbingly self-righteous statements about estate taxation, for example. Our wealth (land) is different because we use it for our way of life, unlike mere stocks or cash. (I've dealt with this in TP before). But that's an old debate. What is more useful perhaps is to see if this is a fight worth having. Do farmers use Chapter 12 often? Are we going to battle for a tiny number? More to the point, does CH 12 have better results? So, unless Sen Grassley has reason to think a much larger than usual numbers of large farmers are in serious difficulties, this looks to me like simple constituent politics. Perhaps some powerful farm donors have whispered in his ear, but without more information this seems like a gift to a favored few producers ( and their lawyers). Chapter 12 effectively eliminated seller financing in this area (Montana) and probably everywhere else. With the current low interest rates, seller financing is finally becoming possible again. So the "farm lobby" is ready to jump in and mess us up again. Like the CRP, keeping the wrong people on the land and the right (or at least potentially right) ones off. Never mind that for every one guy on the land there are 10 who are willing and able to put their all into it and maybe succeed. Do us a favor and don't do us any more favors. I don't know what games would abate if Chapter 12 was prorated like the jerk in Florida who beat foreclosure by going to court 10 Times and winning every time. I think at this narcissistic state which has not been seen since the Mid to Late 1970s, where everyone is entitled to a tax break and they don't give a second look to who's legitimately doing their job or playing by the rules. And, the irritator is the only way out of this conundrum is breakneck production like 1999 or worse, get breaks for every doctor appointment. The danger is big and even bigger boxes and people who'd perpetually be clueless and never ever get it how big they tried and used more people than Meek Mill to stay free. If this where an "Anger Management" Period, we'd have safe learning corners, not quashing libraries over millages, which are slippery slopes in the Midwest we still are skiing. My lawyer was exceptional when it came to court room presence. I knew we were in great shape because he really connected with the jury. Don't always judge a lawyer by his record, make sure that you get to talk with him and see exactly how personable he is so that you can imagine what a jury will think when he speaks. 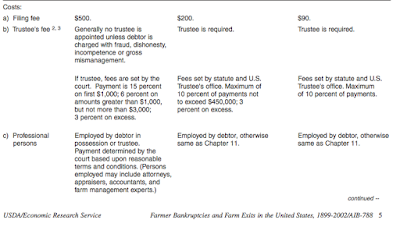 For big farms or companies and corporations running farms chapter 12 seems unfair. But for me and my family running a smaller farm that has been in our family for a hundred years, if we had to file chapter 12 and would be able to stay on and continue working the land, that would be the most ideal situation for us if we had to file bankruptcy. Nice blog. Great information.An experienced attorney offering high-quality civil litigation skills, combined with good business judgment and open communication.Michael Schwartzberg practices bankruptcy, real estate, criminal, motor vehicle, and personal injury law in Bloomfield, New Jersey. The Galewski bankruptcy attorney is just like a commitment to offer each of their clients with the highest level of service. They have specialized lawyers providing meeting in person for discussion of their case. Thank you for sharing the post, I really liked it. 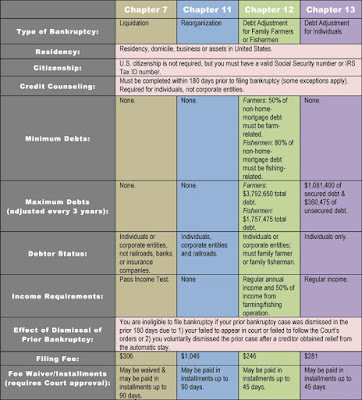 It is quite helpful in understanding the rules and regulations of bankruptcy. Personal Injury Lawyer Richmond Hill can help you solving the matters of insurance claims, accidental cases and much more.